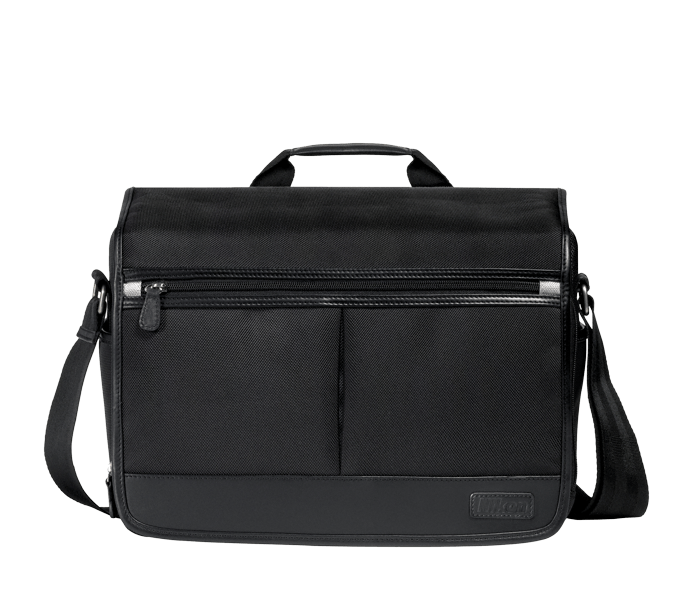 The Digital SLR/Tablet Messenger Bag is designed to protect your Nikon D-SLR camera, lenses, accessories and a tablet when not in use. The bag is black in color with the Nikon logo embossed on the front flap. The bag features a carry handle and shoulder strap.